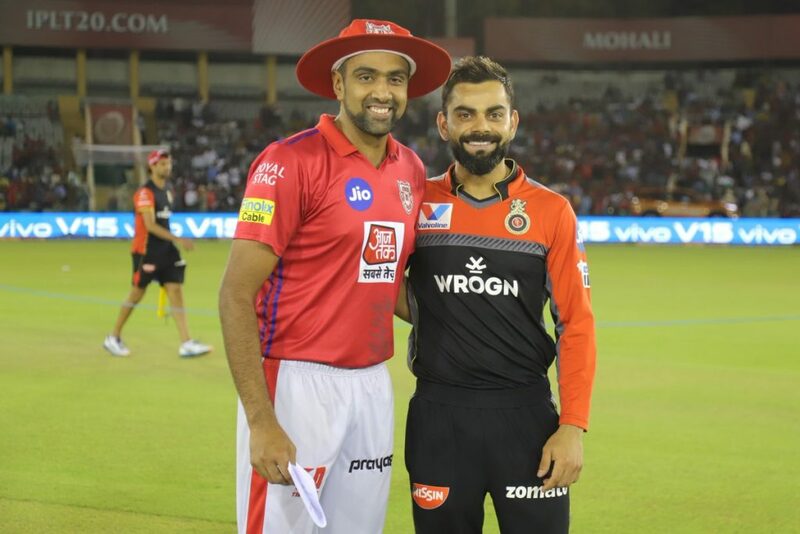 Virat Kohli and AB De Villiers scored brilliant half centuries, as Royal Challengers Bangalore registered their maiden win in IPL 2019, by defeating Kings XI Punjab at the PCA Stadium, Mohali on Saturday. Royal Challengers Bangalore included Umesh Yadav in place of Tim Southee, while Kings XI Punjab brought in Nicholos Pooran, Mayank Agarwal and Murgan Ashwin for David Miller, Karun Nair and Mujeeb Ur Rahman respectively. After being sent into bat by Bangalore, Punjab opening pair of Chris Gayle and Lokesh Rahul started solidly as the duo added 66 runs for the opening wicket, before Rahul was stumped by Parthiv Patel off Yuzvendra Chahal for 18. Mayank Agarwal who looked fluent in his short stay was bowled by Chahal. Gayle and Sarfaraz Khan anchored the innings by adding 24 runs for the third wicket, before the latter was dismissed by Mohammed Siraj in the 13th over. Sam Curran couldn’t stay long and was dismissed leg before wicket to Moeen Ali, as Punjab were reeling at 114/4. The 39 year old left handed batsman along with Mandeep Singh provided impetus to the innings by scoring 60 runs in the last 6 overs, as the home side posted 173/4 in their allotted 20 overs. Yuzvendra Chahal was Royal Challengers Bangalore best bowler as he claimed 2/33, while Siraj and Ali claimed a wicket each. Chasing a target of 174, Parthiv Patel and Virat Kohli started fantastically by putting on 43 runs, before the former was dismissed by Ravi Ashwin. De Villiers and Kohli anchored the innings by adding 85 runs for the second wicket, before the Indian skipper was dismissed by Mohammed Shami for a well compiled 67. 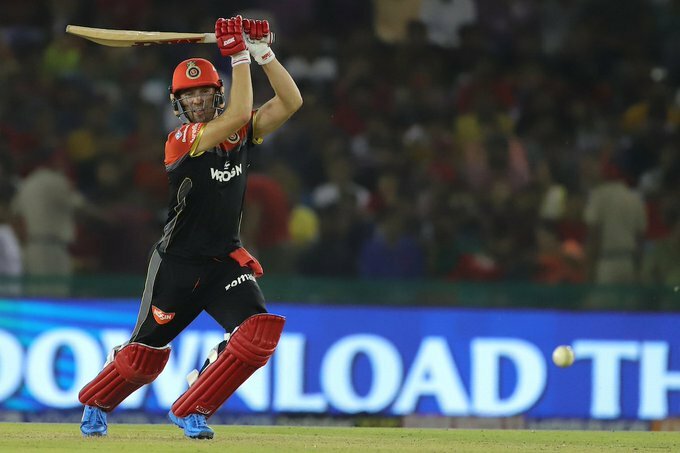 Marcus Stoinis took a few balls to get in, but picked up the scoring rate, as he added an unbeaten 46 runs along with 35 year old former South African star batsman to take Royal Challengers Bangalore to an emphatic 8 wicket victory. AB De Villiers was declared the Man of the Match. The next match of the Indian Premier League will be a double header with Kolkata Knight Riders taking on Chennai Super Kings at Kolkata, and Sunrisers Hyderabad squaring off against the Delhi Capitals at Hyderabad on Sunday 14 April.